The Jadea Kelly Band came into our Pop-Up studio and laid down “On The Water” in one take. 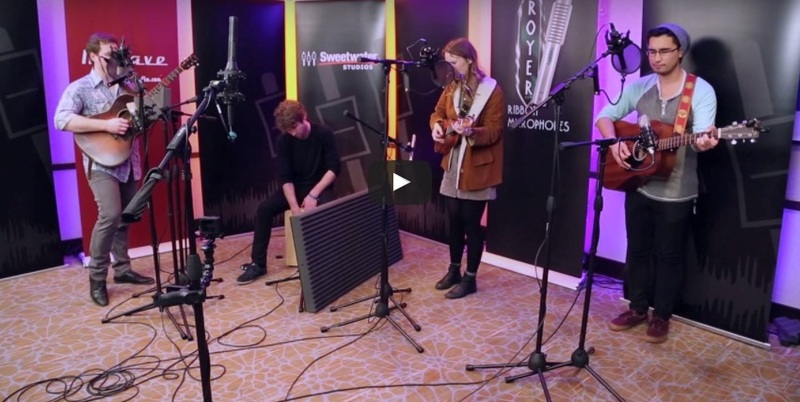 Sweetwater Studios, Royer Labs and Mojave Audio set up a portable Pop-Up studio in a hotel conference room at the 2016 Folk Alliance Convention in Kansas City and recorded a number of artists and groups attending. The room was treated with Auralex Acoustics panels to control reflections, then all recordings were made on Royer Labs and Mojave Audio microphones fed into two Universal Audio 8p’s. Recorded to Pro Tools. Darlingside came into our Pop-Up studio with a ton of energy, worked out the final details of the song on the spot, then killed it in this beautiful take.